Raju Singh, a former JDU legislator from Bihar, has been arrested for the woman's death. The farm house is owned by Raju Singh's mother where he lives with his family. 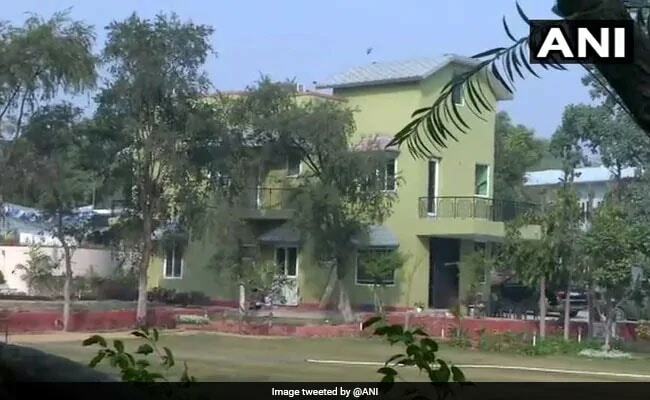 The family of a woman architect, who died today after getting injured in celebratory firing during a New Year's Eve party at a farmhouse in Delhi, has donated her kidneys. Raju Singh, a former JDU legislator from Bihar, has been arrested for the woman's death and taken to the AIIMS for a medical test, police said. Raju Singh and his driver were detained in Uttar Pradesh's Gorakhpur on Wednesday. Archana Gupta, 42, was on life support at the Fortis hospital in Vasant Kunj. "Till Wednesday, the patient continued to be in a critical state and on life support. Despite best efforts by our team of doctors, the patient could not be revived and was declared brain dead on January 2," according to hospital authorities. The proposal to donate her organs for a larger cause was discussed with the family. Post consultation, the "family agreed to donate her kidneys," they said. According to NOTTO (National Organ and Tissue Transplant Organisation), once a patient is declared brain dead, a hospital can approach the family for organ donation. "In this case, after the necessary approvals and the hospital-wise rota was decided by NOTTO, one kidney was sent to Apollo Hospital and the other given to Fortis Hospital, Vasant Kunj," a hospital spokesperson said. "Her family, displaying enormous strength and grit in their hour of grief decided to donate her kidneys. An no-objection certificate was obtained from the Delhi Police since this is a medico-legal case," the hospital said in a statement. In his complaint, Archana Gupta's husband said that they were at the farmhouse on Monday night to celebrate the New Year with friends and around midnight, a few rounds were fired by Raju Singh. Soon after, his wife fell to the ground. She was bleeding. We rushed her to the hospital, the woman's husband said. Fortis Hospital in Vasant Kunj alerted the police about the injury to the woman's head allegedly from gun firing, officials said. Mangla Dembi, Facility Director, Fortis Hospital, Vasnat Kunj, said, "We thank the donor's family for recognising the importance of organ donation and are deeply appreciative of them to have agreed for this magnanimous and noble act in their hour of grief and irreparable loss." "It is extremely motivating to see a gradual shift in public perception on the issue of organ donation in our country,"Avnish Seth, Director of Fortis Organ Retrieval and Transplant, said.